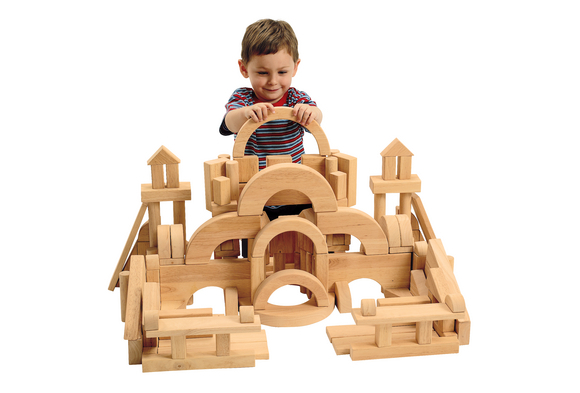 Solid rubberwood unit building blocks encourage problem solving, enhance social and perception skills, promote shape and size recognition. 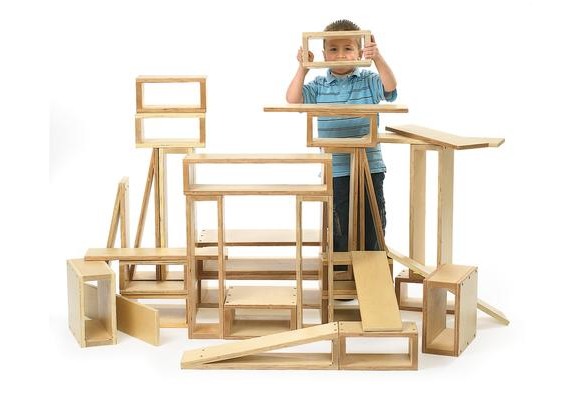 Block play can teach basic math and science skills as well as STEM engineering principles. 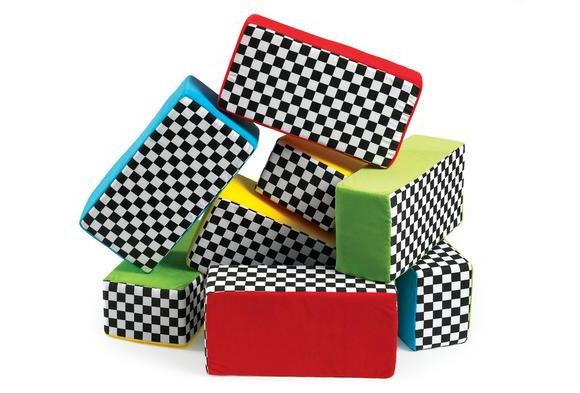 Made for classroom use, these heavy-duty cardboard "brick" blocks have a special corrugated construction for durability, yet they're light enough for a child to carry several at one time. 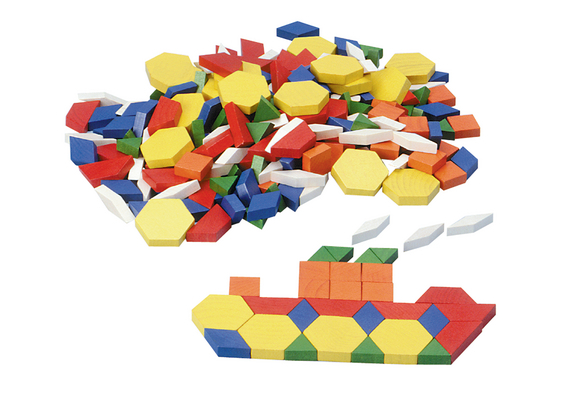 Wow-blocks you can actually fill and refill! 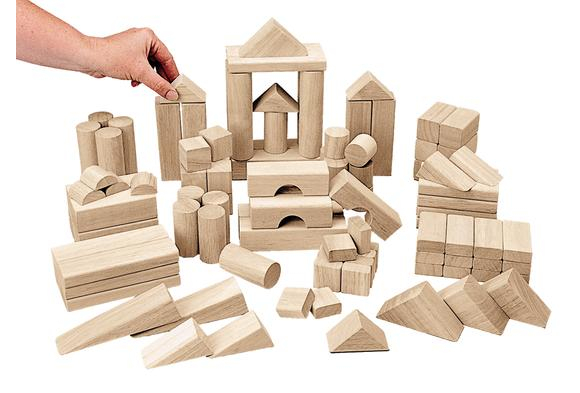 Our exclusive set takes block play to a whole new sensory and creative level. 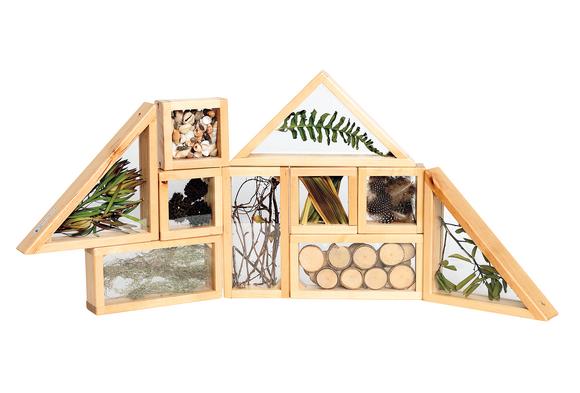 Look at what's inside, sort, shake and build away. 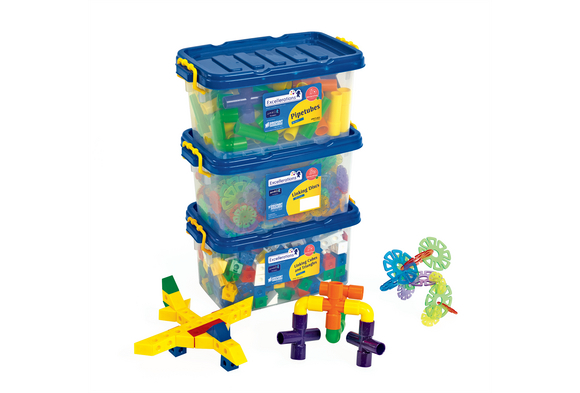 Perfect for housing beads, shells and many other small objects. 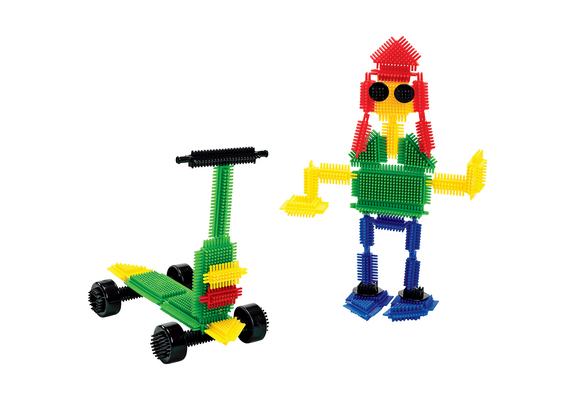 Filling requires adult supervision. 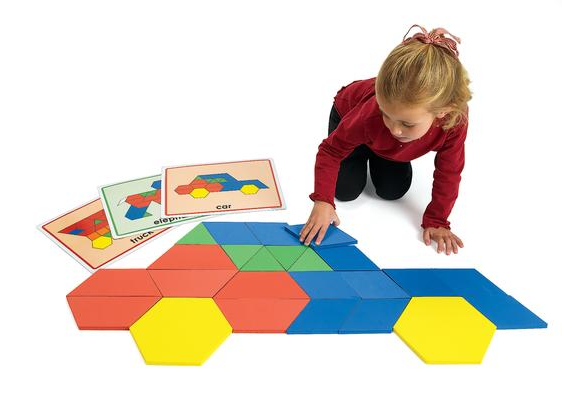 Explore patterns and shapes for tactile discovery and fine motor skills. 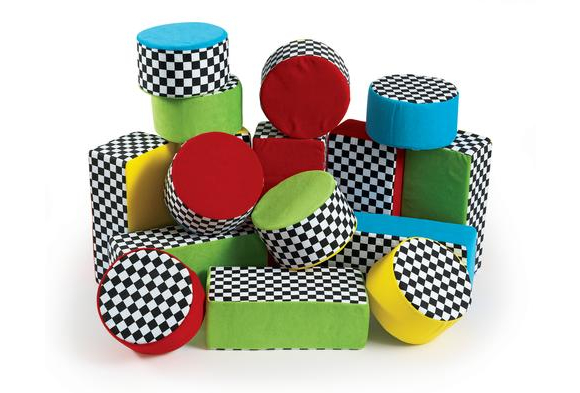 Practice the alphabet one block at a time! 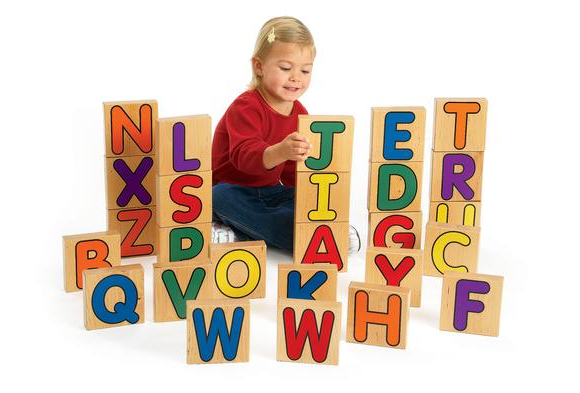 Exclusively designed for learning and strong building, our set of 26 large, solid wood blocks has one of each alphabet letter. 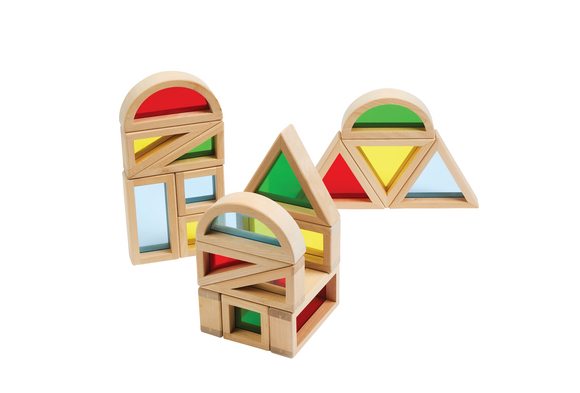 Window Blocks have durable colored acrylic windows. 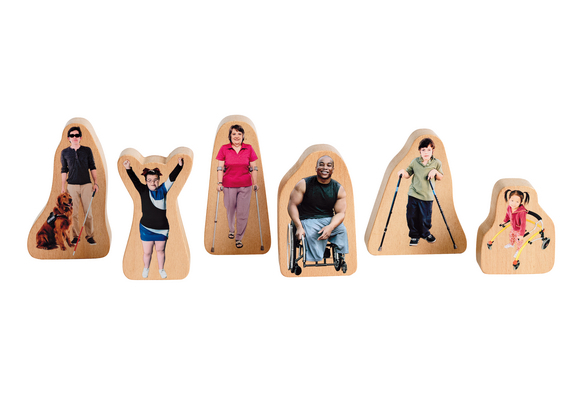 Made of birch wood and safely sanded smooth on all the edges. 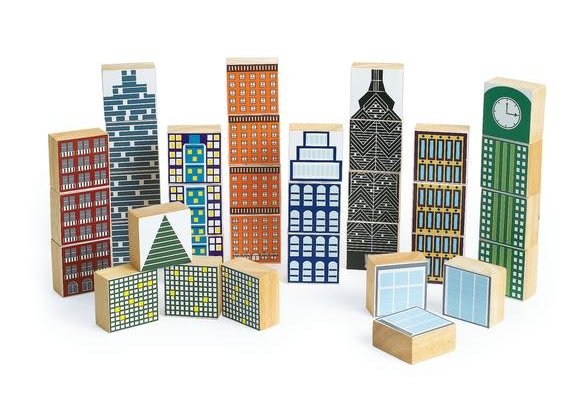 Bring an urban feel to your block center! 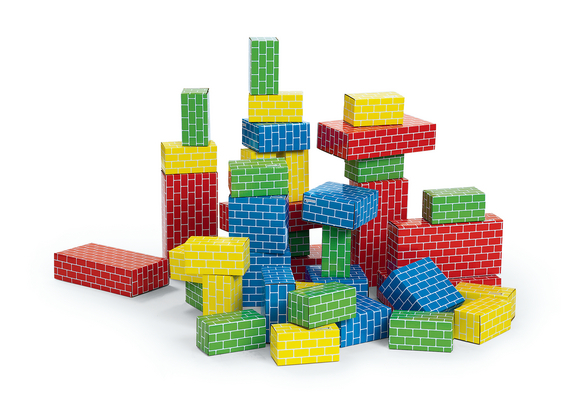 Build it big! 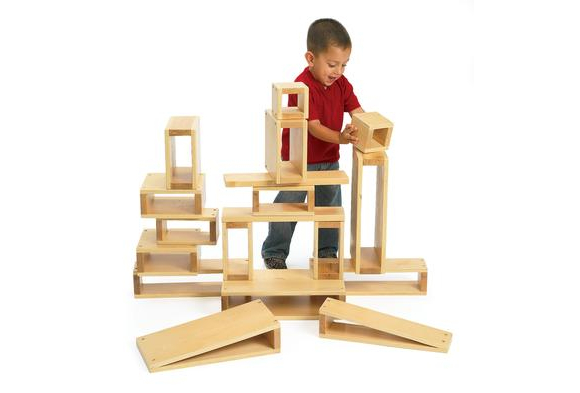 Develop fine and gross motor skills and encourage creative, constructive problem-solving. 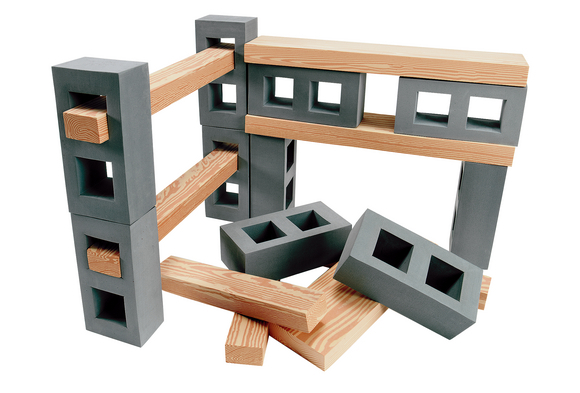 Stack, roll and nest these beautiful wood-like blocks! 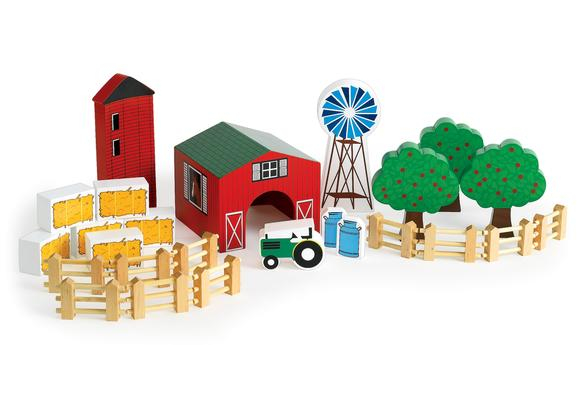 Lightweight cylinders printed with 3 types of bark. 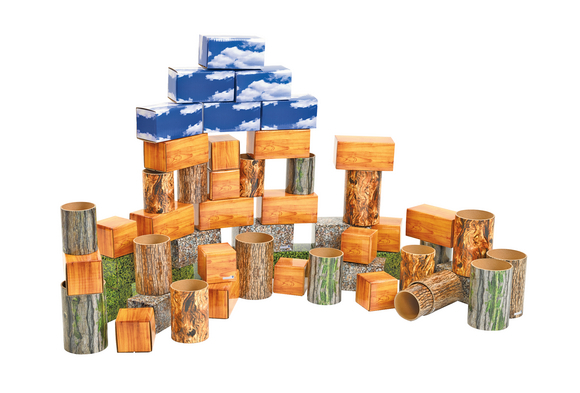 Perfect for creating treehouses, towering forests and hollow logs. 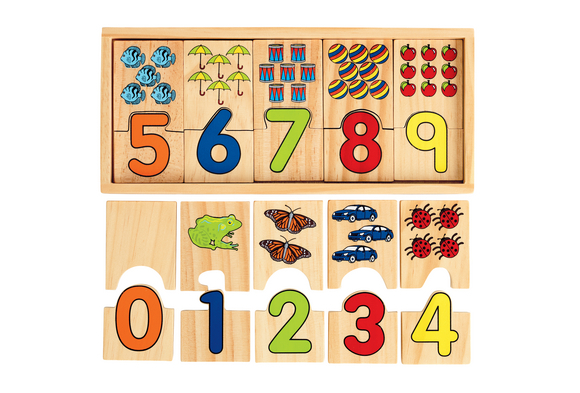 Teach numbers by sight and touch with these 2 piece wooden puzzles depicting numbers from 0-9. 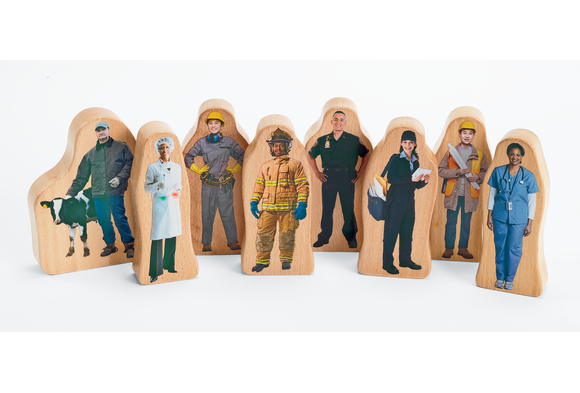 The bottom half shows numbers and the top half contains pictures of familiar objects, such as shoes and bears. 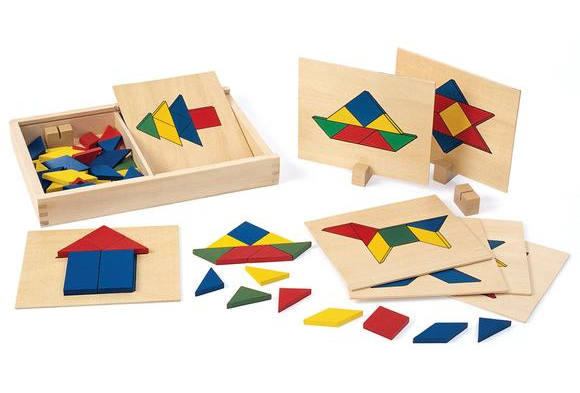 Each puzzle measures 3"L x 1 1/2"W.